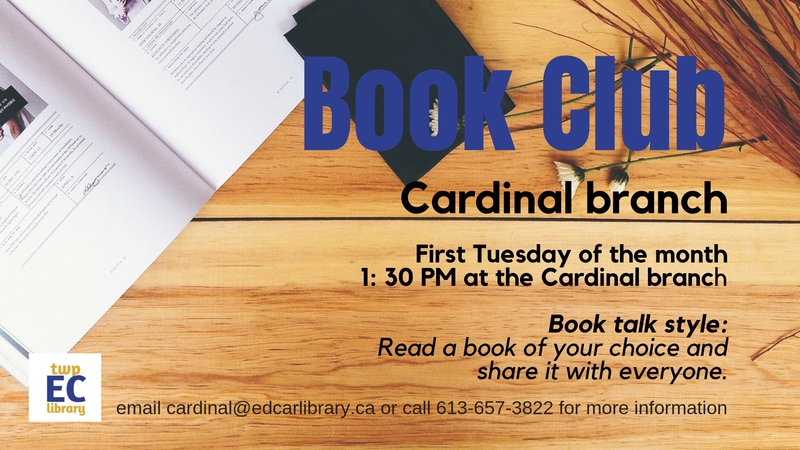 Edwardsburgh Cardinal Public Library – Sharing information. Building relationships. 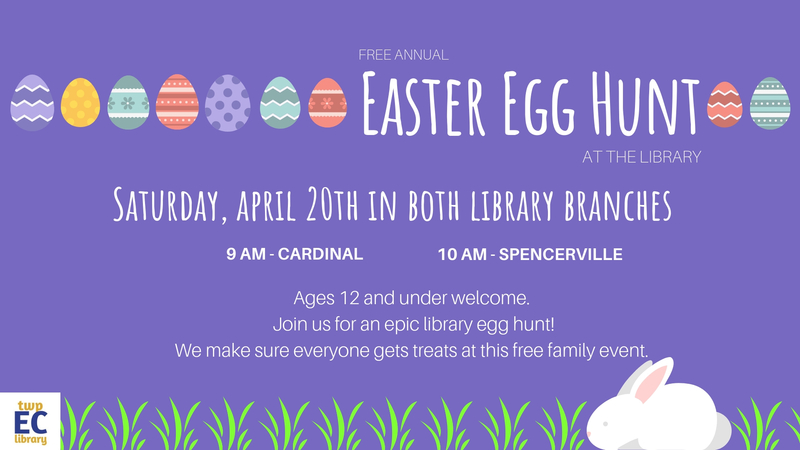 The Edwardsburgh Cardinal Public Library has a collection of more than 87,000 print and e-resources including books, books on CD, videos, magazines, Museum passes, ebooks and downloadable audiobooks. Inter-Library Loan is also available. Computers High Speed Internet access is available on our computers free of charge. Photocopying, computer printing, and fax services are also available. 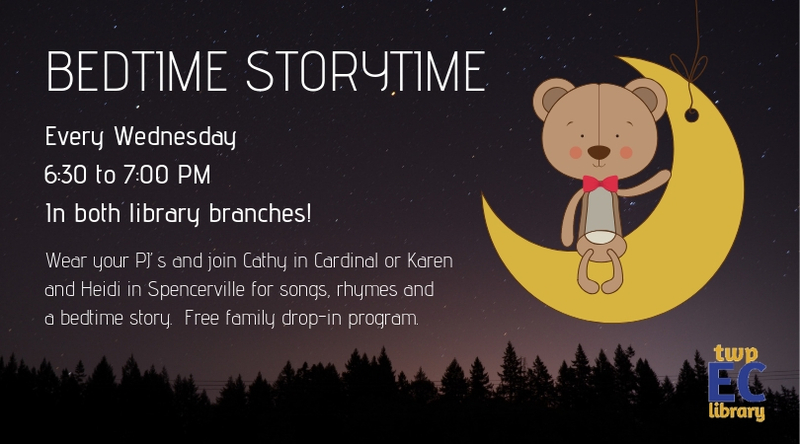 The Edwardsburgh Cardinal Public Library also offers an assortment of community programs for residents of all ages. Check out our Programs pages for more information. Tuesday – 2 – 6 p.m.
Wednesday – 5 – 8:30 p.m.
Thursday – 2 – 6 p.m.
Saturday – 10 a.m. – 1:30 p.m.
Monday – 5:30 – 8 p.m.
Tuesday – 1 – 4:30 p.m.
Wednesday -5:30 – 8 p.m.
Thursday – 1 – 4:30 p.m.